I kept up with it on and off and then a few years later I was invited by my friend Jami to a Creative Memories party. I was excited that there was something more official out there for me. I bought my first album, and moved all my pages out of my Office Depot binder into that scrap-hinge album (the one above that is terrible to move sheets around in). I was doing only 8-1/2x11 pages back then. I thought 12x12 was CRAZY! Shortly after that I burned out. We had a lot of pictures. We had a lot of memories. I didn't have a lot of time or inspiration. I kept my Creating Keepsakes subscription, but just piled the magazines in a corner. Part of the problem for me was that I was a childless girl in a world dominated by inspiration for kid pages. After our wedding, I gathered everything with good intentions of scrapping. But just piled it in a box. I got really good at buying supplies but wouldn't do anything with them! 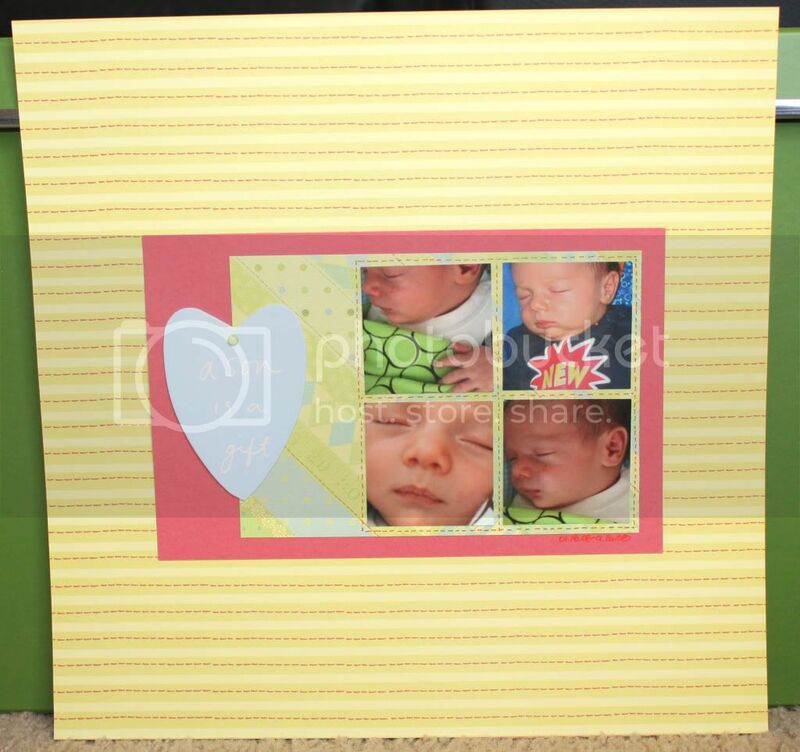 When Logan was born, I knew I wanted to get back into scrapping. I wanted to make him a special album. I was taking a bazillion pictures every week. I needed to document what this time was like. Of course I was a new mom. I didn't exactly have time available. Again, I bought supplies. I thought if I had a fully coordinated "kit" all from the same line (plus some solid cardstock to match) it would be easier. Brad by Making Memories, Tag was a tag on some clothing we got him! I decided to do this first album in 12x12 so I could fit more pictures on a page. I printed my zillions of pictures and sorted them. I got a few pages done, but it was so time consuming I didn't get very far. 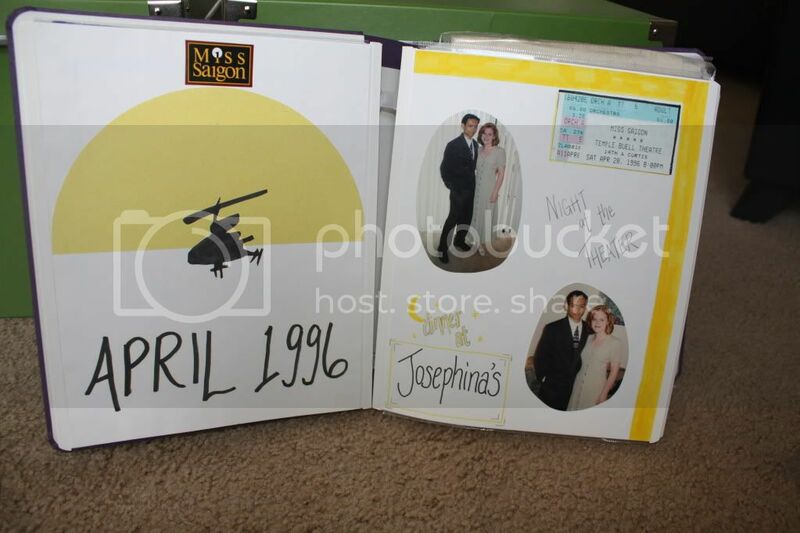 I started to post all his photos and journaling on a Shutterfly share site. 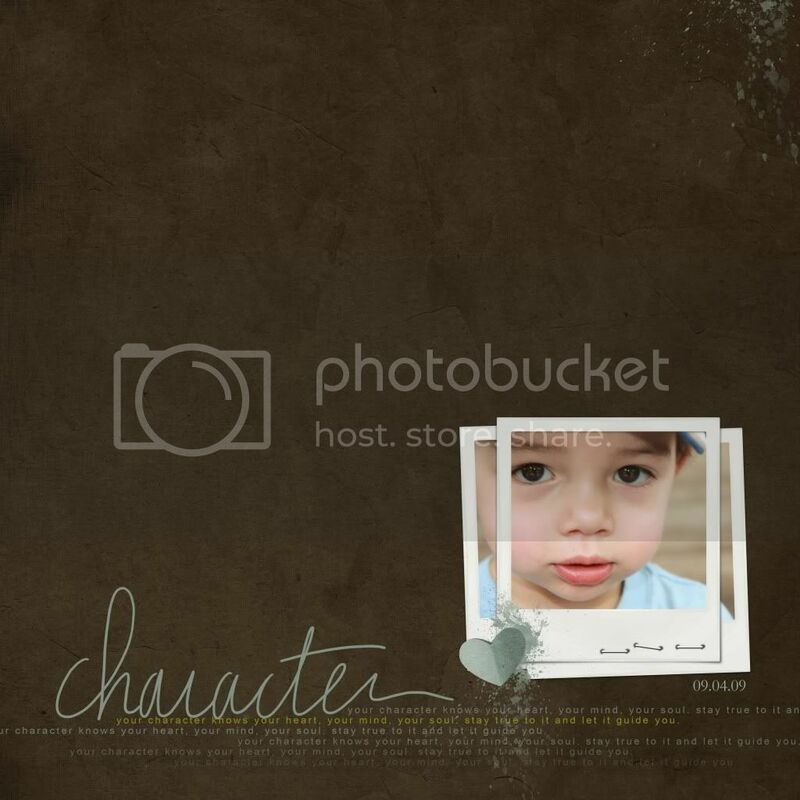 Then in the fall of 2008, using a few spare moments after Logan's bedtime one evening, I stumbled upon digital scrapbooking I had never heard of it and was shocked to find that there were a bunch of designers giving out freebies of their designs!! I downloaded a free trial of Photoshop Elements (begging Trung to get me the real thing for Christmas) and fumbled around to find instructions how to use it. I downloaded a MILLION freebies. Back then, there was a blogger that went by "Ikea Goddess" that posted links to all her favorite freebies (now, you can find a bunch on Digital Daisy's site). I downloaded anything that looked remotely interesting. I pumped out 2-1/2 years of consecutive albums (I had previously made it only halfway through 2004 - I got "caught up" through 2007) in like three months. Instead of printing individual pages (which I also do), I discovered that I could print all my original pages in a Shutterfly photobook. You can also use their templates if you don't have Photoshop (or the time), which is what I did with this 2007 album. They have tons of options in size and you can get them printed in paperback cover, hard cover, leather, etc. I've also been told that Blurb is great too, although I haven't tried it yet. The easiest freebies from the digi world are called "quickpages." These are pages that are already done - you can just drop your photo(s) in. You can add custom touches, like journaling or titles too. Here is one where I simply added a photo and date. I think you might even be able to do these in Word. Anyone seeking more information on basic digital scrapbooking should check out the series "Scrapbooking with Your Computer" by Ali Edwards.